These guidelines are under continual review and periodic assessment by both United Way of America and member United Way organizations. The ever-changing environment in which we work, coupled with donor requirements, warrants a continuously renewed dedication to standards that exceed public expectations. 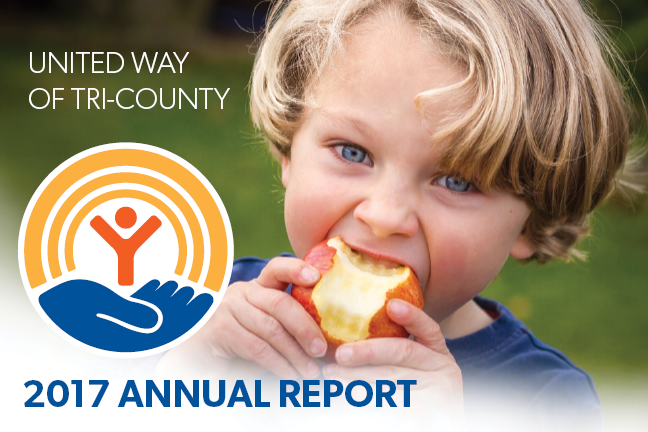 The United Way of Tri-County has a multi layered oversight process to ensure that the donors' money is appropriately managed and invested. Professional Oversight: trained professional staff working in our finance department perform the day to day management and oversight of our funds. They report directly to the President & CEO who in turn is responsible to the finance committee, executive committee and the full board of directors. For the past 9 years our annual independent audit has been rendered "without comment", which is the accountability level we strive for. Finance Committee: the finance committee, a standing committee of the board of directors, is chaired by our treasurer and is responsible to the executive committee and the board of directors. Members of the finance committee are all financial professionals from the business community. Independent Auditors: At the end of each fiscal year, we undergo a rigorous independent audit to ensure that our management and accounting practices are where they should be. Additionally, the finance committee works directly with the independent auditing firm to ensure the highest possible transparency. Board of Directors and President: ultimately all responsibility for financial oversight of the organization rests with the board of directors and President of the organization.